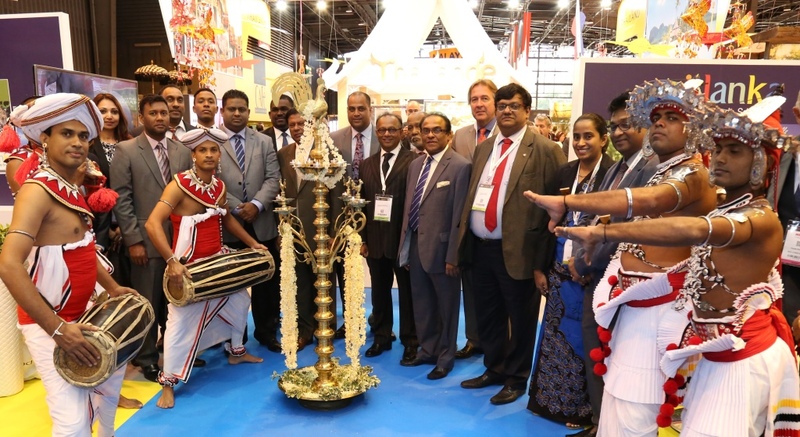 Sri Lanka Tourism gathered momentum at the recently concluded IFTM Travel and Tourism Fair in Porte De Versailles –Paris, France, by making strong marketing statement for the country by showcasing the destination under the theme “Sri Lanka – One Island, Thousand Treasures”. The 37th edition of the world's third largest travel show IFTM Top Resa 2015 took place in Paris Porte De Versailles from 27th September to 02nd October 2015. 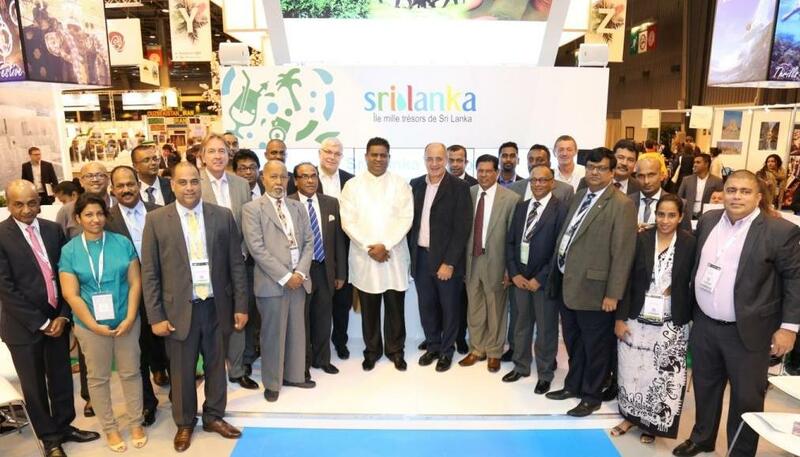 The Sri Lanka delegation at IFTM Top Resa was led by the Deputy Minister of Tourism & Christian Affairs Hon. Arundika Fernando and The Ambassador of Sri Lanka in France H.E. Mr. Tilak Ranaviraja along with the high ranking officials from the Ministry of Tourism ,Embassy of Sri Lanka in Paris and Sri Lanka Tourism Promotion Bureau. Representing Sri Lanka, 46 travel trade representatives from top 20 travel and tourism agencies and hotel sector took part in this event. At the IFTM total number of 31,763 trade professionals from 163 countries participated displaying 1,560 brands occupying 492 stands at 31,000 m2 of exhibition space. 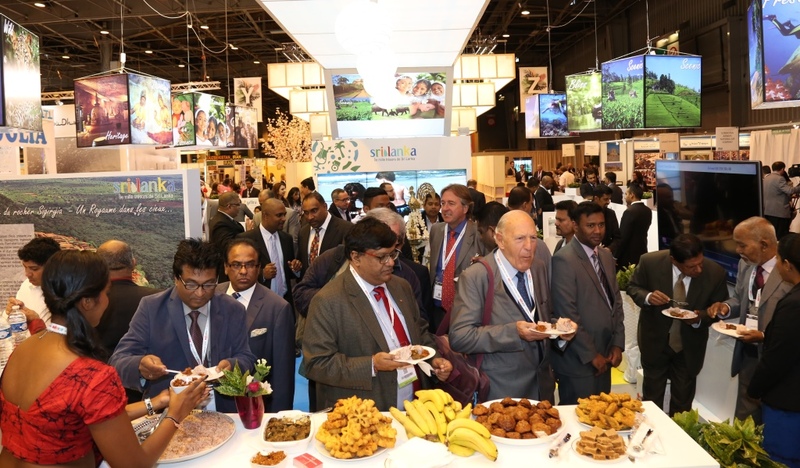 France being the fifth largest tourism generating market to Sri Lanka, and identifying its potential for growth, actions were taken to set up an attractive stall in the IFTM, inclusive of all the tourism products related to the market. Accordingly this year Sri Lanka Tourism stall was specifically designed to showcase 8 major themes giving much focus on promoting Sri Lankan beaches, wild life, heritage and culture that are highly favored by French Travellers. At the entrance to the Sri Lankan stand a replica of the Sigiriya Rock Fortress was displayed to signify the historical marvels Sri Lanka has to offer to avid travellers. Eight mega light boxes depicting the 8 wonderful experiences was created on either sides of the main structure of the Sri Lanka pavilion with high visibility to all visitors. A wide screen video wall had been setup at the center of the stand with promotional videos running continuously to give a live feeling of Sri Lanka. Ceylon tea boutique served freshly brewed Ceylon Tea throughout the IFTM Fair for all visitors which was on high demand during the fair. Moreover, Sri Lankan pavilion became the cynosure of all stands among the IFTM with the colourful cultural dance performances of the Sri Lanka Army cultural troupe that added true Sri Lankan experience on the stage. 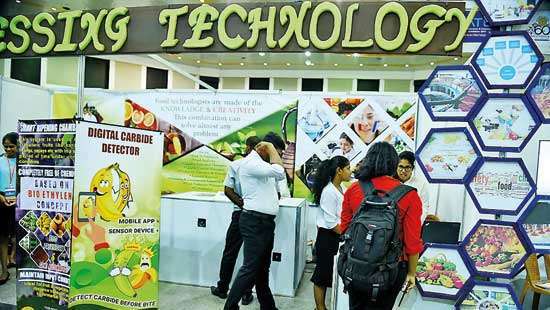 With all these items in place Sri Lankan stall was able to attract many number of visitors with its unique design and variety of experiences offered. The Sri Lanka stand was ceremoniously opened on 29th September by Hon. Deputy Minister of Tourism Arundika Fernando, H.E. the Ambassador of France, Tilak Ranaviraja and industry stakeholders of Sri Lanka. The Sri Lankan press conference and Travel Agents Workshop was held on 28th September 2015 at Colisee-Champs-Élysées, attended by leading French media journalists representing travel and tourism publications and more than 75 Travel Agents and Tour operators. Speaking at the event Hon. 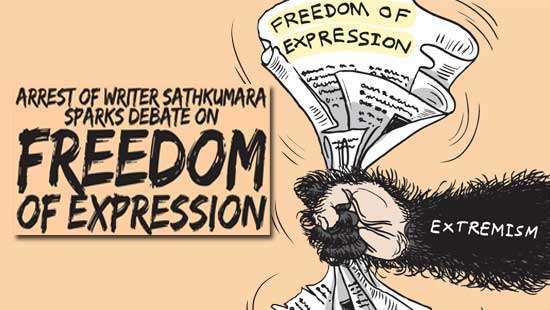 Arundika Fernando highlighted that Sri Lanka has entered into a fast phase of development and the new government is investing heavily on tourism sector to make it the second largest foreign exchange earner in the Sri Lankan economy. Currently, tourism industry is growing at a rapid phase with a 35.9% growth and cumulative performance at 18.8%, whereas French market is growing at a 10% year on year and thus far recording more than 68,000 arrivals. Therefore I would like to invite all the media and the travel agents to extend your fullest cooperation to generate high level of brand awareness on Sri Lanka and create product distribution in France. H.E.Tilak Ranaviraja, the Ambassador of Sri Lanka in France, addressing the forum highlighted that Sri Lanka is a country of its own with full natural beauty and endowed with many facets of tourism attractions. As a country we are now ready to go ahead with the wave of developing Sri Lanka as a tourism hub in Asia. The Embassy of Sri Lanka in France is fully dedicated to achieving the country’s tourism goals and will work very closely with the French Government, media and Travel Agents in both countries to achieve this objective in the near future. Mr.Alexi Gunasekera, Commercial Counsellor of Embassy of France and Ms. Sarangi Thilakasena, Assistant Director of Sri Lanka Tourism Promotion Bureau made Sri Lanka country presentations to the media and travel agents at the forum. Mr. Vipula Wanigasekara- General Manger of Sri Lanka Conventions Bureau spoke on the high potential MICE travel opportunities in Sri Lanka for the French market. Mr. Danny Scheppers, Country Manager of Sri Lankan Air Lines in France and Mr. Jean Marc Roze, Secretary General of Syndicate National des Agencies de Voyages (SNAV) the largest Travel Agents Association in France, also made speeches on positive growth of Sri Lanka Tourism sector and the future vision for creating opportunities for developing French market to attract more travellers to Sri Lanka. The event was followed by a cultural evening showcasing traditional Sri Lankan dance performances with a networking session for French Travel Agents and media. 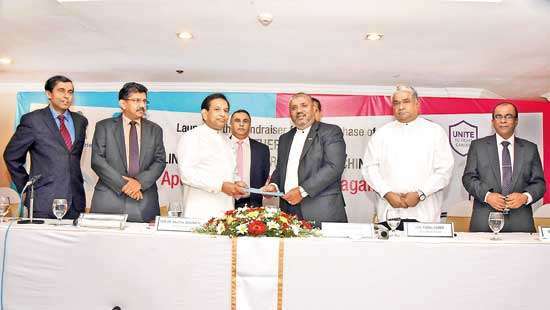 During the IFTM Top Resa, Sri Lanka has made their way to affirm the interest on hosting Syndicate National des Agencies de Voyages (SNAV) An Congress in year 2016. Accordingly Sri Lanka Conventions Bureau, Embassy of Sri Lanka in Paris and Sri Lanka Tourism along with SNAV Bidding Committee members arranged a special session at Sri Lanka pavilion by inviting the SNAV President Mr. Jean Pierre and Secretary General Mr. Jean Marc Roze. The heads of SNAV were ushered to Sri Lanka stand with a grand welcome of cultural dance performances. Hon. Deputy Minister of Tourism, H.E. The Ambassador of Sri Lanka in France, Mr. Vipula Wanigasekara of Sri Lanka Conventions Bureau and other delegates representing SNAV Bidding Committee of Sri Lanka. They had an exclusive session with the SNAV president and secretary general assuring Sri Lanka’s fullest cooperation for the Congress if nominated as the host country for next year. All associations of the tourism industry including Colombo Hoteliers Association, THASL, SLITO, ASMET and Sri Lankan Airlines handed over letters of assurance to the SNAV President at this meeting ensuring the cooperation to facilitate the Congress which is expected to draw more than 1000 travel trade professionals from France to Sri Lanka. Sri Lanka Tourism was able to seal many promotional drives in French Market during the IFTM Top Resa 2015. Sri Lanka delegation had one to one meetings with the largest French TV Channel TF1 to host a very popular reality show series in Sri Lanka and an adventure series. Sri Lanka will also look at running a mainstream advertising campaign with TF1 Channel to reach the potential travellers to the destination. Riding on the success of the Disney movie Monkey kingdom in the US, Sri Lanka Tourism met with Disney Paris to hop on board with Disney’s National Campaign for the promotion of the French version of Monkey Kingdom “ Le Royaume Des Singes” which will be released in France on November 11th 2015. Series of meetings were held in this regard between Disney representatives and Sri Lanka delegation including Hon. Deputy Minister Arundika Fernando, Coordinating Secretary to Hon Minister Mr. Nirosh Rasiah and representatives from Sri Lanka Embassy in France, Sri Lanka Tourism and Sri Lankan Air Lines. The campaign will start off one week prior to the national release of the movie in France. On the trade promotions arm, Sri Lanka Tourism signed an agreement with a leading online Travel agent group “PROMOAGV” to engage more than 30,000 travel agent base to a competition on Sri Lanka in order to create sales leads to the destination and thus creating awareness as well as sales on the same platform for the country promotions. The Agents who will have highest sales leads for the country will be offered a FAM tour in Sri Lanka during December 2015 with the association of Sri Lanka Airlines. Meanwhile, the SLTPB and Sri Lanka Embassy of France also took steps to arrange Business Meetings, exclusive media interviews, investment meetings during the IFTM 2015. Over all, IFTM travel fair has generated many opportunities for promoting destination Sri Lanka among French travellers where the country is targeting to attract 100,000 visitors from France during the year 2015.